The growth of managed healthcare has continued to rise since its inception in the 1980s. 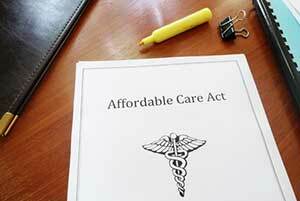 The term covers a type of health insurance with the concept of providing quality health care at an affordable rate. The basis has remained essentially the same since the Affordable Care Act, also known as Obamacare, came into effect in 2010. Likewise, Obamacare is intended to transform the practices of the healthcare industry to improve accessibility and affordability for Americans. Managed healthcare plans are intended to reduce inflated healthcare costs through a variety of mechanisms, including: economic incentives for physicians and patients to select less costly forms of care; programs for reviewing the medical necessity of specific services; increased beneficiary cost sharing; controls on inpatient admissions and lengths of stay; the establishment of cost-sharing incentives for outpatient surgery; selective contracting with health care providers; and the intensive management of high-cost health care cases. What Is a Managed Health Care Plan? The main difference between a managed health care plan and a traditional fee-for-service health insurance plan is that managed health care plans are dependent on a network of key players, including health care providers, doctors, and facilities that establish a contract with an insurance provider to offer plans to their members. A group or company provides an individual with the coverage and acts as the plan sponsor. Assistance is provided to members of the plan to find the most affordable means of insurance services based on the healthcare providers who are in their network. That is how the insurance policies aim to be cost-effective; all partners share the medical cost risks of individual members. As sponsors, companies and groups can seek the best plans and rates with service providers and hospitals if they are included in the same network. There are only a few choices of managed healthcare plans and it can be confusing to find the one that is right for you. The three main types include Health Maintenance Organization (HMO), Preferred Provider Organization (PPO), and Point of Service (POS) insurance plans. A simple way of understanding the difference between the three is by the choice of providers they offer; some are more restrictive than others and the fewer choices available, the more affordable the plan. Plan sponsors provide a list of physicians from which members must choose a primary care physician. Set rates are established to use the services of the network. As opposed to fee-for-service health insurance plans, managed health care plans are designed to be advantageous to all players involved, including the plan sponsor and individual member. As a member, an individual is guaranteed to have access to their healthcare needs at lower rates for themselves and their families. The physicians, hospitals, and health care providers within the network have a consistent client base. A billing system within the network makes it easier for members who do not have to worry about managing reams of paperwork themselves. Before concentrating on things like the deductible, coinsurance, or small print of the insurance plan, it is important to understand how each plan works. This will help you determine if you need more flexibility of medical services or can manage with fewer options. Let’s look at the advantages and disadvantages of each type of plan. A health maintenance organization (HMO) is used by employers to supply a list of healthcare providers for their employees to use at reduced rate. It is also attractive for people not only seeking financial assistance for medical care, but proper treatment to go along with their healthcare needs. The goal is to focus on preventative measures to reduce the chance of disease, and at the same time, reduce healthcare expenses. The HMO provides treatment in collaboration with a team of doctors, hospitals, health care providers, and the insurer. Typically, healthcare providers offer their services at a discount rate for members. Insurance companies will provide a list of providers and it is important for potential members to seek a company that works with the health care provider of their choice. The service providers and physicians on this list must be used to benefit from discounts. A patient’s physician becomes his or her first point of contact and is able to make referrals to specialists. Medical treatment through HMOs is usually prepaid monthly, so members who have a fixed rate will pay the same regardless of how much care is received. You have entitlement to visits to the doctor’s office, hospital stays, surgery, or a combination of all. The network takes care of filing claims and the paperwork associated with them. Individuals are also guaranteed unlimited treatment and benefits for the lifetime of their membership in the plan. Similar to HMOs, a Preferred Provider Organization provides discounted health services to its members, but it differs in that members have the option to choose their own physician rather than being limited to a limited list of providers. Choosing a physician within the approved list of providers network usually has the advantage of a significantly lower price, however you still have the option of selecting from outside the network and footing a heavier bill for your care. The PPO is comprised of a group of doctors and hospitals that cater only to a particular group of employees or organization. Their sponsorship can come from an employer, an insurance company, or other association. Some physicians within the network will provide discounted rates to all they treat, including policy holders, individuals, and sponsors. Unlike HMOs, users of PPOs are required to pay for services at the time rather than on a prepaid, fixed-rate basis and are reimbursed at a later date. Since the cost is arranged by the sponsor and healthcare provider ahead of time, patients are able to know what they will be expected to pay. These costs are typically capped at specific price points for individuals and families. This also means patients have to look after their own paperwork. The Point of Service (POS) managed healthcare system has characteristics of both HMOs and PPOs. To be eligible, a primary care physician must work in and have the ability to make referrals among the network providers. Members who choose outside providers will be billed a deductible and higher co-payment to reflect the physician’s fees. The POS allows more customization. If you use more than one doctor or specialist, they can come from both inside and outside of the network and you are free to choose without permission from your primary care physician. Out of pocket expenses are usually limited on an annual basis. For more information on healthcare solutions like PPO, HMO, and POS insurance plans, contact our insurance and benefits experts here at Business Benefits Group. We’re here to help!